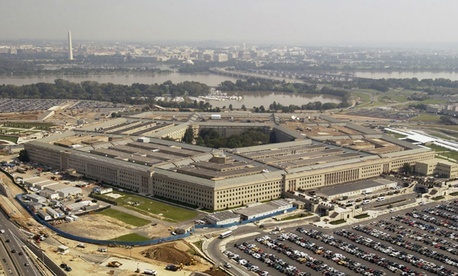 The Defense Department on Tuesday announced it will now allow eligible civilian employees to partially retire while remaining on the job part-time to help better manage its workforce needs. The decision by the government’s largest department to implement phased retirement – nearly four years after Congress passed a law allowing the practice – could spur other agencies to roll out their own programs to take advantage of the flexibility. As of mid-January, less than 50 people across government had applied for the benefit, according to the Office of Personnel Management. That’s because many agencies either haven’t finalized phased retirement plans yet that meet the needs of their missions as well as collective bargaining agreements, or aren't offering the benefit to eligible employees. It’s also possible some federal employees don’t know what their options are, or just aren’t interested/eligible. It’s the latest personnel-related change that the Pentagon has unveiled in recent months, as part of the department’s broader effort to recruit and retain civilian employees and service members. Agencies have broad discretion in deciding how to implement phased retirement, including deciding which jobs are eligible for it, determining mentoring activities and deciding how long an employee can remain partially retired. When eligible employees can apply for the opportunity will depend on how quickly their individual agencies can figure out a framework for offering the program. The Commerce Department reportedly announced recently its plans to implement phased retirement. Other agencies currently offering the benefit to employees include the departments of Energy and Housing and Urban Development.